About - DARSHAN METAL IND. PVT. LTD.
Home â€ºâ€º Packaging & Paper â€ºâ€º Packaging Materials â€ºâ€º Packaging Bags > Darshan Metal Ind. Pvt. Ltd.
We, Darshan Metal Ind. Pvt. 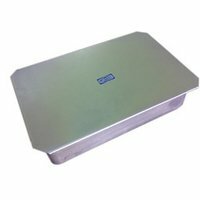 Ltd., founded in 1986 are working as an Exporter, Manufacturer and Supplier of various types of the products such as Jewelry Box, Jewel Packaging Box, Roasting Pan, Serving Tray, Gift Box, etc. Every product of ours is made with perfection using qualitative raw materials that are checked on different parameters before using in the production process. A systematic approach is being followed by all our teams right from procurement of raw material to punctual delivery of offerings. Due to the worthy skills of our experts, we are able to present a variety of products under a single roof that are being praised by the customers. 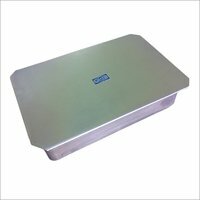 Our products possess excellent attributes that meet the expectations of the customers and are thus highly demanded by them. 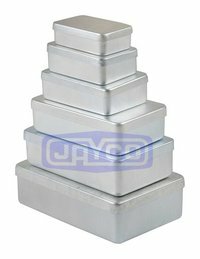 At JAYCO, we manufacture a wide range of Aluminium (& SS) Metal Boxes/Cases & Trays of various sizes, types and versions. Kindly contact us for your detailed requirements.